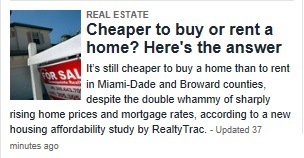 Today’s Miami Herald includes a puff piece claiming that it’s still cheaper to buy than rent in Miami, based on the latest nationwide report by real estate data-crunching firm RealtyTrac. 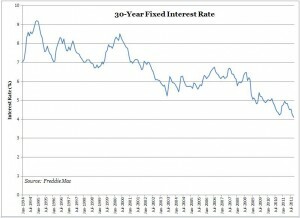 To calculate the monthly house payment, RealtyTrac assumed a 20 percent down payment, a 30-year fixed interest rate of 4.46 percent for homes purchased in the fourth quarter of 2013 and a 3.35 percent 30-year fixed interest rate for homes purchased in the fourth quarter of 2012. 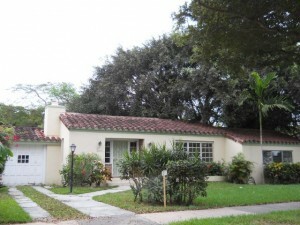 Also included in the monthly house payment is a 1.04 percent annual property tax rate, 0.40 percent of the purchase price in annual maintenance costs, 0.35 percent of the purchase price in annual home insurance costs, and subtracting the tax benefit from the mortgage interest deduction and property tax deduction using a 30 percent income tax rate. The assumption of a 1.04% property tax rate is way too low, generally speaking. 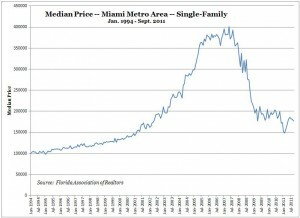 The rule of thumb for property taxes in Miami is closer to 2%. “0.35% in annual property insurance costs”? Good luck with that. 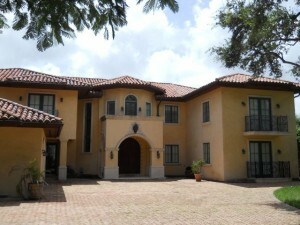 Florida has the highest property insurance costs in the nation. Rates vary radically depending on location, year of construction, storm-protection features and other variables, but for purposes of a market-wide generalization, anything less than 1% of home value is probably unreliable. 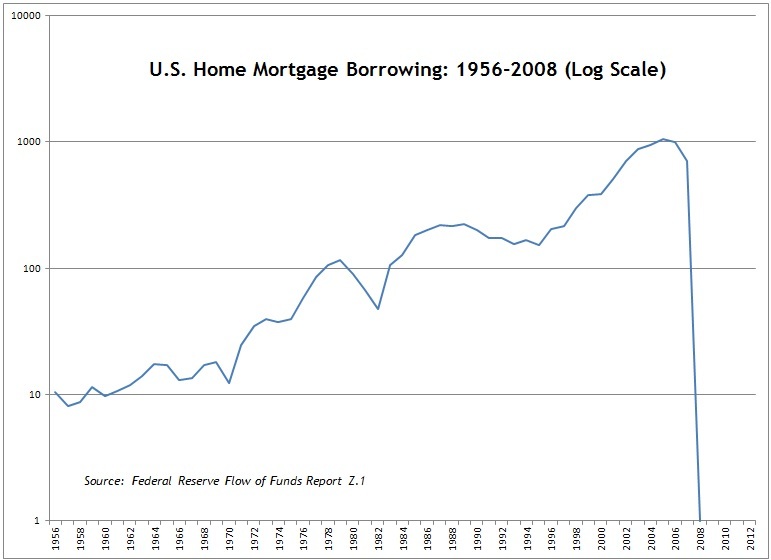 Not everyone can muster a 20% downpayment and thereby reduce their monthly mortgage payment by the magic of borrowing less in the first place. A very small portion of the population is in the 30% income-tax bracket that yields a tax-deduction benefit. According to the IRS (Pub. 1304, Table 3.4), less than 5% of the population was in the 28%-or-higher tax bracket in tax year 2011. And remember, a portion of the benefit from the mortgage-interest deduction is illusory, because you actually save money only to the extent that the itemized deduction exceeds the standard deduction. 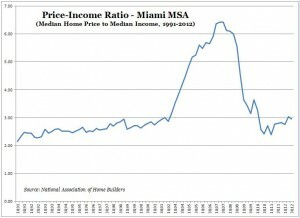 Particularly for lower-income buyers of lower-priced homes, there may be no benefit to itemization at all. As always, the question whether it’s cheaper to buy or rent depends on your specific circumstances. 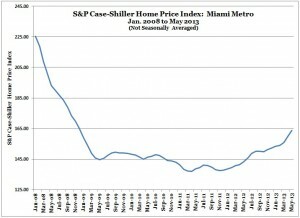 REF Real Estate will be glad to help you estimate the true costs of buying versus renting a home in Miami. 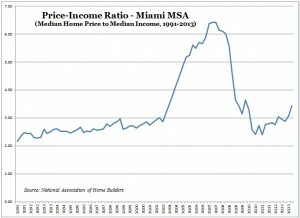 With another year of low interest rates and cash buyers, the relationship between Miami home prices and incomes has deviated significantly further from historical norms. The median price rose while the median income actually fell, according to data from the National Association of Home Builders. 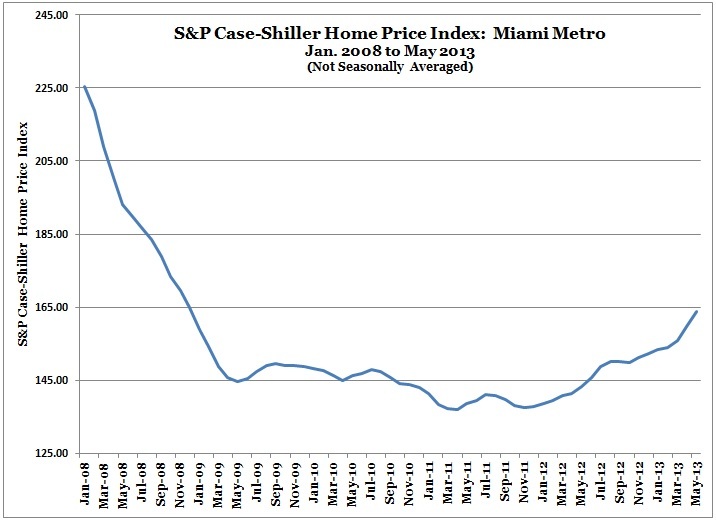 According to the S&P Case-Shiller Home Price Index, values of single-family homes in the Miami metro area were rising at about 2.49% per month as of May 2013 (more precisely, it’s the May report for the rolling average of the three months that ended in May). That’s about 30% per year! 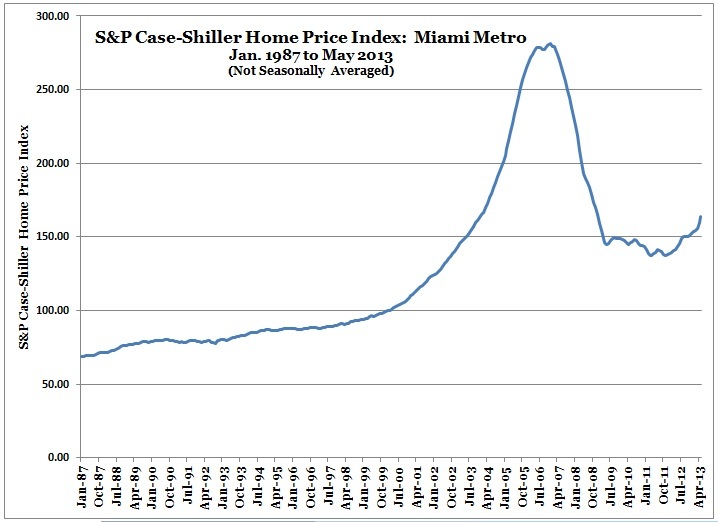 The last time — indeed, the only time in Case-Shiller data — that Miami real estate saw such gains was . . . . . . wait for it . . . . . . in June 2005, just before the bubble burst. 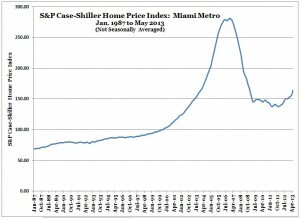 The relatively short-term chart above begins when Miami real estate prices peaked in January 2008. Viewed alongside the black-diamond ski slope of the real estate crash, the price gains of the last year or so seem respectable but perhaps not all that unusual. After asset bubbles burst, a phenomenon called an “echo bubble” is sometimes observed. 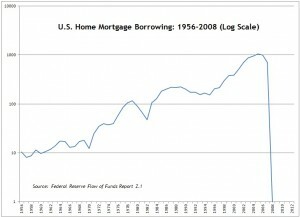 And the Federal Reserve, which intentionally created the housing bubble in the first place to offset the collapse of the late-’90s stock bubble, is up to its old tricks. If you must buy Miami real estate (or sell Miami real estate), the least you can do to give yourself a fighting chance is to give REF Real Estate a call. Buyers get 1% cash back on the purchase price, and sellers get full service for the lowest possible commission. So You Wanna Be a Landlord? Investors big and small have suddenly decided that it’s a great idea to buy single-family homes for rental income and future price appreciation, according to a flood of media reports. A quip about how quickly we forget would be too easy. 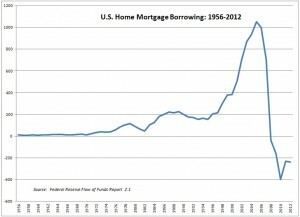 And indeed, these investors are far more responsible than the yahoos who bought homes during the bubble. Those were bad investors, and these are good ones. Right? 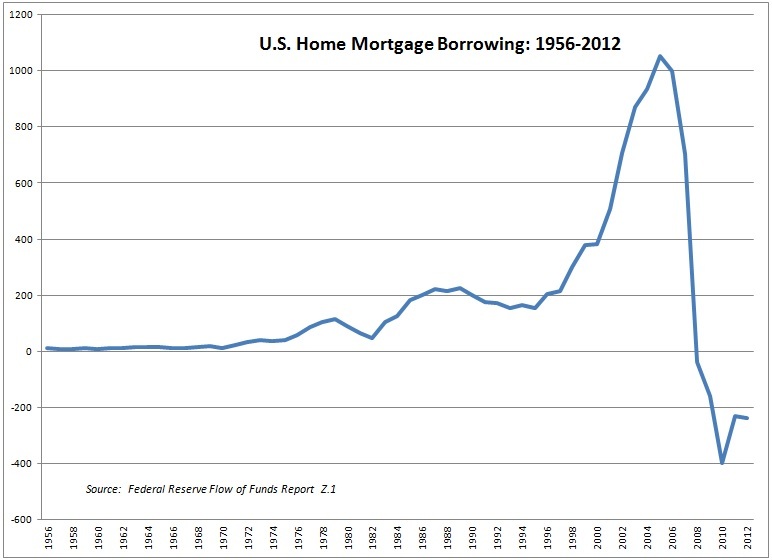 Renting a house is hardly a newfangled way to earn income. This big new idea is actually an old idea that previously had limited appeal. What changed? For one thing, the government rolled out big subsidies for institutional investors. For another, Federal Reserve policies are starving small investors of a fair yield on their bank deposits, forcing people to hunt for yield in places they never considered before. Such things tend to end poorly, but in case that observation strikes you as unconvincing and platitudinous, let’s look at a few recent sales to see what they say about how profitable buying and renting single-family homes really is. The math is not hard. 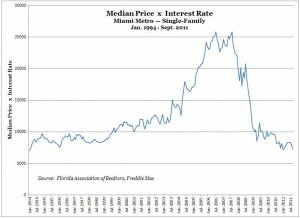 In the simplest sense, your yield equals rent, minus carrying costs, divided by purchase price. This is also known as your capitalization rate, or cap rate. 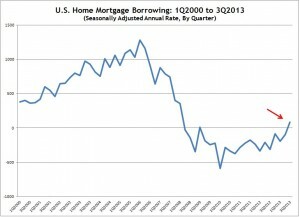 The major carrying costs annually are property taxes, homeowner’s insurance, and maintenance. 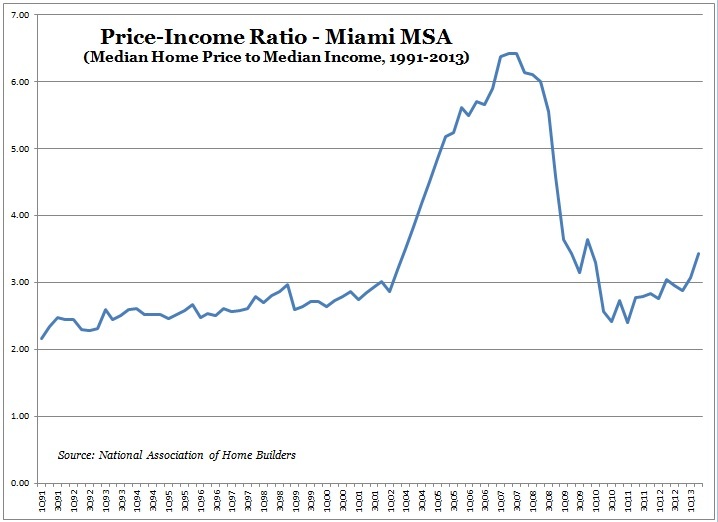 In the Miami area, property taxes approach 2% of the purchase price, homeowner’s insurance can be about 1% to 2% of the purchase price depending on the age and structural characteristics of the home, and maintenance should be budgeted at or near 1% as a rule of thumb anywhere. If you finance, then the interest is a carrying cost but the out-of-pocket purchase price is effectively reduced by the amount you borrow. We’ll ignore financing, as it’s often a wash. 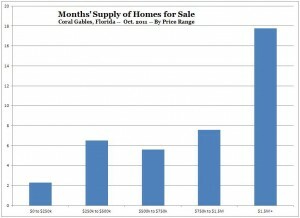 So what does this simplified analysis say about buying homes for rental income in the Miami and Coral Gables real estate markets these days? Consider several homes that recently sold and were also recently rented or offered for rent. 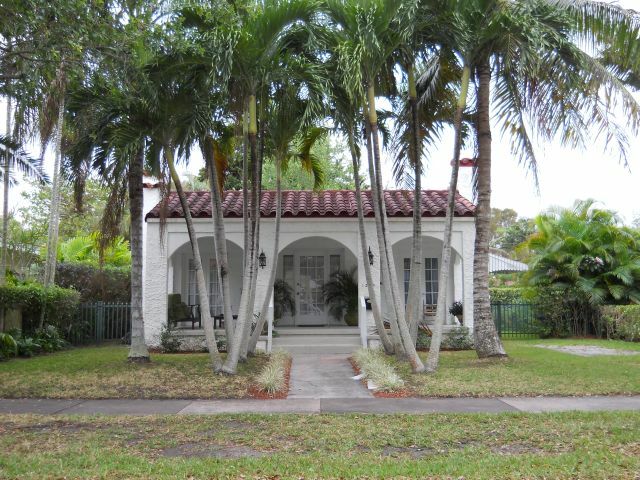 The home at 629 Madeira Avenue in Coral Gables recently sold for $370,000, and recently rented for $1,900 a month ($22,800 annually). Property taxes are about $7,000. Insurance can’t be known without getting a quote, but the house was built in 1940, so it probably doesn’t qualify for the cheapest rate. Call it $5,000. Add another $3,000 for maintenance and you’re at $15,000 in carrying costs. Subtract that from the $22,800 and you have net income of $7,800 annually. Divide $7,800 by $370,000 and you get a yield of 2.1%. Salivating yet? Here’s another. The home at 1248 Milan Avenue in Coral Gables recently sold for $430,000, and recently rented for $2,000 a month ($24,000 annually). The house is so small (1,335 sq. ft.) that property taxes are about $5,200. It was built in 1924, so insurance is probably high for the home’s size, but that isn’t saying much. Call it $4,000. For such a small home, add a mere $2,800 for maintenance and you’re at $12,000 in carrying costs. Subtract that from the $24,000 and you have net income of $12,000 annually. Divide $12,000 by $430,000 and you get a yield of 2.8%. One more — this time on the higher end. The home at 5309 Alhambra Circle in Coral Gables recently sold for $1,261,000, and was recently offered for rent at $6,950 ($83,400 annually). Property taxes are about $19,000. It was built in 1926, so insurance probably is expensive. Call it $11,000. Add $8,000 for maintenance and you have $38,000 in carrying costs. Subtract that from the $83,400 and you have net income of $45,400 annually. Divide $45,400 by $1,261,000 and you get a yield of 3.6%. The higher-end home seemingly fared better than the others, but still yields just 3.6% — and that’s based on the asking rent. It didn’t actually rent for that much, so the yield might well have been less than 3.6% if a tenant had been found. Which raises another consideration: An important factor omitted from these case studies is the vacancy rate. There’s a big difference between listing a home for rent and renting the home. 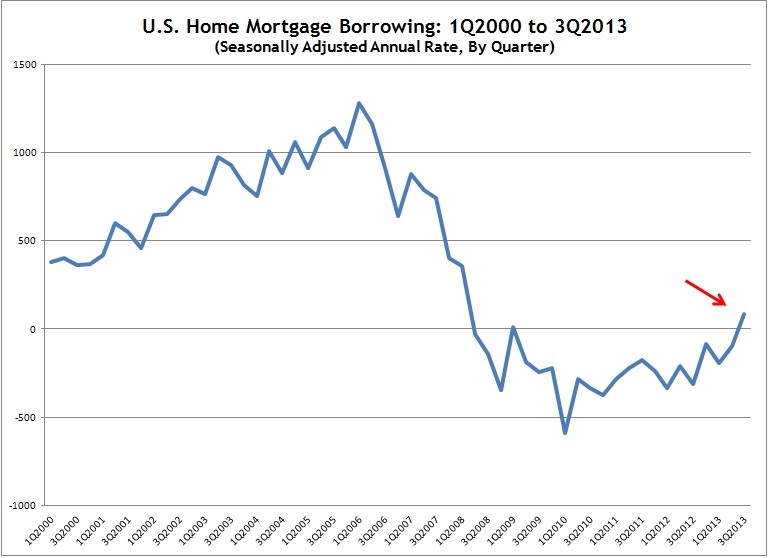 Until it’s rented, your income is not just zero, but negative, because you still owe all the carrying costs. Professional landlords accordingly reduce their anticipated income by the share of time they think a property will be vacant in between tenants. A safe margin would probably be at least 5% to 10% for single-family homes, and as 5309 Alhambra Circle shows, it can drag on for much longer. How long would you be able to take that heat before either cashing out or renting your home on the cheap to seven fraternity brothers and a four-legged mascot? The home at 5309 Alhambra is particularly interesting because the seller bought it in December 2011 for $1,215,000, then listed it in March 2012 for sale or for rent. The list price for sale was $1,397,000. The list price for rent was $8,200. It looks like a failed flip that neither yielded a capital gain (remember the brokers probably took 6%) nor successfully rented even after the asking rent was substantially reduced. Still wanna be a landlord? posted by // Comments Off on So You Wanna Be a Landlord? The home at 2805 Columbus Boulevard recently sold for $3.3 million. Just a couple of shady blocks up the tree-canopied street from the elegant Biltmore Hotel, it’s easy to see the attraction. 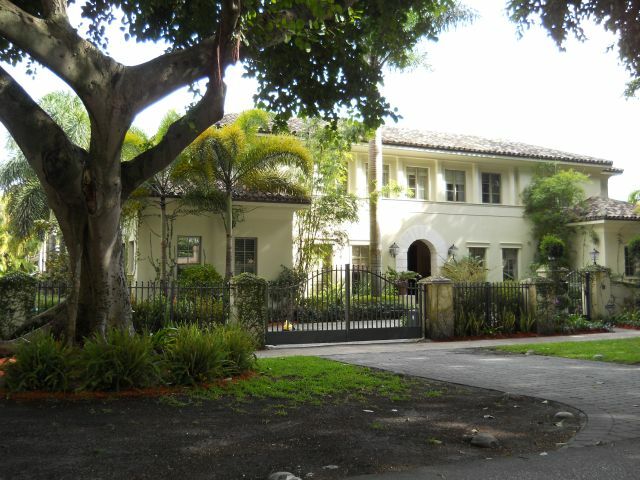 But the sale will pose a challenge for anyone trying to understand the value of luxury real estate in north Coral Gables. At 6,255 square feet and built in 2004, the home sold for $527 per square foot. The lot is 16,500 square feet, and not on water or a golf course. Compare the recent sale of nearby 1260 Anastasia Avenue, an 8,701-sf Mediterranean built in 2001 on a 24,400-sf lot. 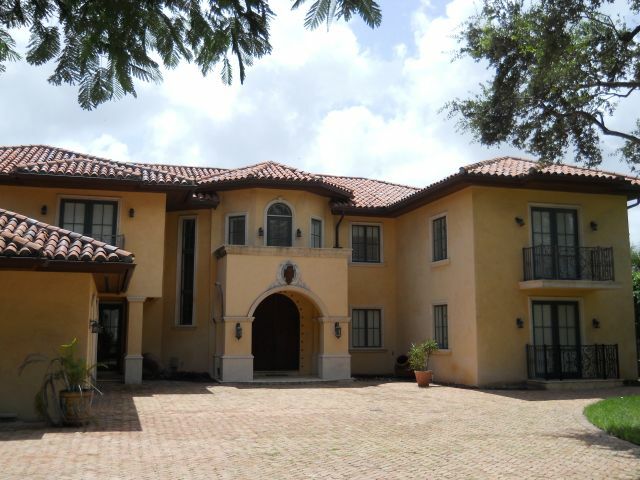 Located directly on the Biltmore golf course, the home sold in August for $3.05 million. Granted, the clean lines of the architecture and interior at 2805 Columbus might have resonated especially well with today’s luxury home buyer. But are Mediterraneans really going out of style, to the point that you can get 25% more house on 50% more lot, throw in the Biltmore golf course location, and still pay 13% less? No, there is no objective explanation for the disparity in these two sales. In real estate, subjective factors sometimes dominate. That’s troubling if you want to believe that the market is rational. But it’s also promising, because it means the market will occasionally present you with opportunities. In the case of 2805 Columbus, the buyer was a Puerto Rico limited liability company, and the same agent both listed the property and found the buyer. The transaction is essentially opaque. 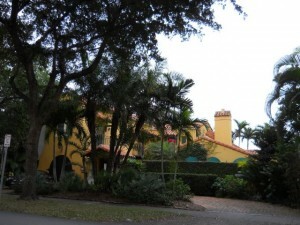 The buyers of 1260 Anastasia, meanwhile, were James and Pamula Schlesinger. Mr. Schlesinger appears to be the president and CEO of AWE Talisman, a real estate development firm. Obviously, Mr. Schlesinger would not be likely to overpay for real estate. If you, too, would like to avoid overpaying for a home in Miami, Miami Beach or Coral Gables, REF Real Estate will be glad to assist — and give you a hefty commission rebate.